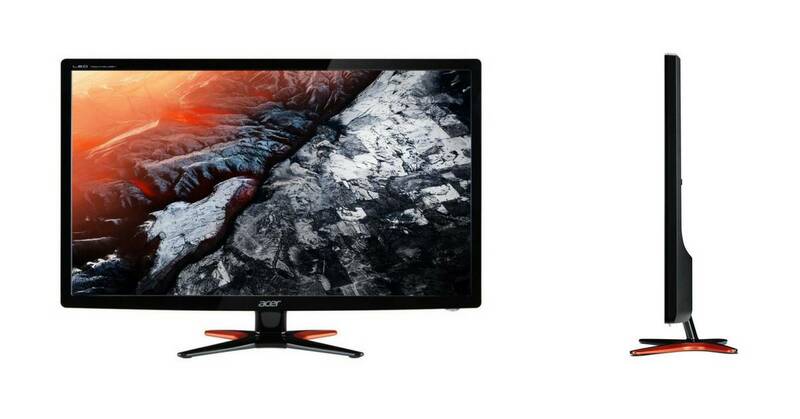 The Acer GN246HL is a 1080p 144Hz gaming monitor with good performance, but great price. 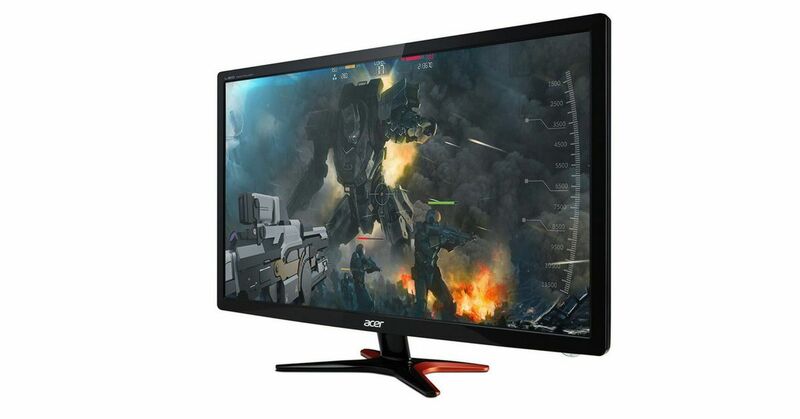 Another interesting entry to our series about budget gaming monitors is a device from Acer. This Acer GN246HL review gives you a great look at the monitor that will help everyone who needs the widest views, the good graphics, and the most options. 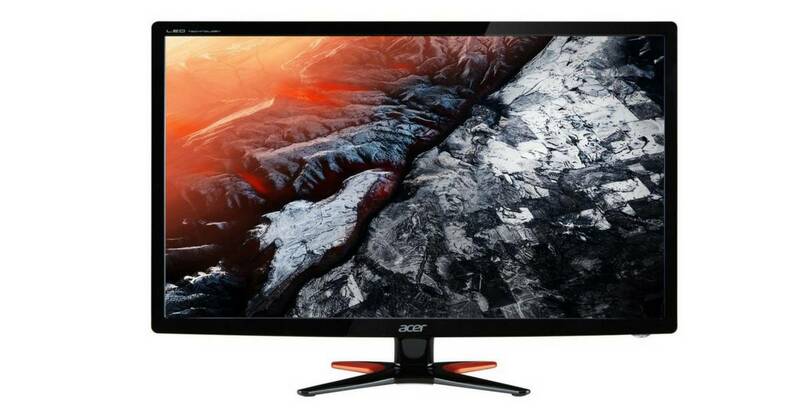 The Acer GN246HL is a 1080p 144Hz gaming monitor that offers Full HD display with the 3D capabilities and comes for a great price. It has a TN panel with decent picture quality when viewed from directly in front, but it doesn’t support more advanced features like FreeSync. Of course, it is available in other sizes and configurations, including versions with G-Sync, but this is the base model. The 24-inch display is large enough to give you optimal gaming experience and small enough to not that most of your desk. However, the monitor is one of the thinner monitors on the market. It sticks up from the stand with a narrow LED display that is not too heavy. You can set things behind the monitor, and it can be used in tight spots where you do not have much room for anything else. All the dials and buttons are on the exterior of the device, and you could make infinite adjustments even before going into the settings on the screen. The 144Hz monitor connects to your computer through an HDMI port which gives you the opportunity to change your settings for brightness, color, and contrast. You can see everything from the timer that is included with the monitor to the input that you are using. You could have more than one machine connected to your monitor, and you might want to change inputs through the screen controls. This is much easier than older monitors, and it saves you a lot of time when trying to set up the screen for a certain game. The simple black body looks great in all settings, and it offers an impressive look when you in your office. People who see this monitor will know that you take your computer work seriously, and someone who comes over to play video games will love this monitor. You are changing the way in which you are playing, and you are no longer in a position where you must squint to see because you have all this extra space. The adjustable base on the unit allows you to tilt it where you want so that you can see clearly. Most people who are adjusting the base on the monitor get the best experience, and they can change the color settings to match up with what they have done with the base. You get exactly what you want out of the monitor, and you are not stuck staring at it where it was set like a regular TV. The display on the Acer GN246HL is set at 144hz, and it is so powerful that you get the tiniest details in a game that other monitors will not show you. You can see the performance in each game as you see the detail in the graphics that were drawn by the animators, and you see the same resolution when you are watching TV. You get the new 3D look that most programs are going for, and you could wear your 3D glasses with this monitor if you wanted. The performance on the device is much better than most because it uses very little power. You might plan to use the monitor only to watch TV, and you will see the TV shows or movies just as they would appear on a regular TV. You will notice that the Acer GN246HL Bbid renders even your most complicated games in a matter of moments, and you will find that people who are playing with you on split-screen can see just as well as you do. There is no difference between the top and the bottom of the screen. The Acer GN246HL input lag amounts to ~10ms which is enough for a competitive gameplay. The HDMI input allows you to connect any device, or you could use the traditional connections to run retro consoles that you have kept around all this time. You might have wondered if you could continue to play your favorite games, and you will with this monitor. However, you will find that it actually works best when paired with a computer of the same brand. The power consumption on this device is very low, and it will not begin to overheat because you have been running it for so long. The LED display on the Acer GN246HL is so powerful that you can see anything, but it does not radiate heat constantly. You could have anything sitting near this monitor, and it will not heat up the room while you play. Anyone who wants to play their video games in comfort and style should try the Acer GN246hl 144hz monitor. You will find that this monitor looks great when you are playing anything from a simple computer game or a more complex game like a video console game. You can change your settings, and you have the opportunity to change those settings on the outside dials or the screen controls accessed through your computer. 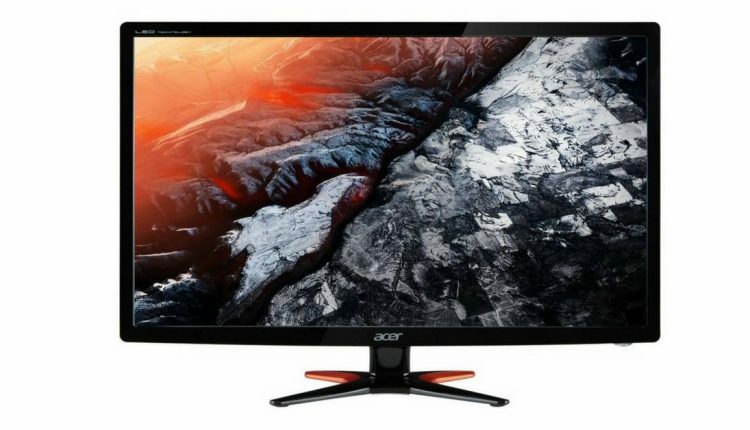 Acer GN246HL Bbid is a great monitor, but it´s the best gaming monitor in the budget segment as many reviewers labeled him? Honestly, this model can be considered a cheap 144hz monitor, but it is still one of the fastest on the market. The screen manages to display vivid colors and a smooth gameplay without lag or ghosting. Even advanced monitors have problems with these features. We are sure, you can find cheaper monitors on the market, as well as those with higher performance, but you´ll have a hard time to find a 24-inch model for under this price which will give you the same image quality. AOC G2460PF – A good entry-level monitor with a support of AMD Freesync technology. Nothing more. FreeSync in combination with 144Hz refresh rate and 1ms response time will produce a decent gaming experience when you compare it to a regular monitor. AOC G2460PF is a budget-priced gaming LED monitor for people who want to enjoy HD gaming without wasting too much money on expensive models. Nixeus Vue 24″ 144Hz Gaming Monitor – This product is made for the average gamers that won’t go over the $300 price tag. A Full HD 1080p TN panel with fast 1ms response time and 144Hz refresh rate are making it a nice option for beginning gamers. Timmy Joe PC Tech – Acer GN246HL 144hz 24″ Gaming Monitor On The CHEAP! The Acer GN246HL is a 1080p 144Hz gaming monitor that offers Full HD display with the 3D capabilities, and comes for a great price.